This begins a new blog series for the public sector. Over the next several weeks we'll be highlighting different benefits and aspects of Microsoft Dynamics 365 for governments, centering on the value that Dynamics 365 can deliver as an end-to-end combination of CRM and ERP systems combined with next-generation business applications targeted at core industry capabilities. A digital transformation is taking place—it’s radical, on-demand, and driven by citizens. Citizens have higher expectations for convenience due to the simplicity of consumer apps and services. Governments of all sizes are pressured to provide the same ease, speed, and convenience as leading services like Amazon, Netflix, and Uber. Saddled with legacy systems, it can be a challenge for resource-limited government institutions to keep up with citizen expectations. Thankfully it doesn’t have to be this way. It’s possible for governments to give their citizens the services and access they want, when they want them. Imagine a citizen named Jane. Jane is an environmental enthusiast who enjoys the outdoors. Like many of us, she shops online, banks digitally, and orders her lunch on her mobile device. Wouldn’t it be ideal if she could achieve the same level of convenience with her government that she does when she orders shoes online? Of course. The reality is that digitally empowered governments do exist, and they’re already finding ways to better serve their citizen’s needs with personalization, responsiveness, and ease. Now, Jane lives in a world with a digitally transformed government. When planning her next biking and camping trip, she easily purchases a state park pass on her mobile phone. After her purchase, Jane searches for up-to-date information about park hours, costs, and activities. Effortlessly, she can do everything she needs in one place, anytime and anywhere. Let’s say that when Jane arrives at the state park, she discovers a giant mess at her campsite. In this ideal world, Jane snaps a photo on her mobile device to submit a request for clean-up. From mobile apps to call centers to self-service portals, Jane connects securely to her government from her channel of choice. As soon as Jane submits the request, artificial intelligence and automated workflow rules quickly evaluate the scope of Jane’s incident, accelerating issue resolution. Automating government systems means using fewer resources, reducing human error, and giving employees a reprieve from endless administrative tasks. From scheduling routes and dispatching workers to properly managing resources, these technologies make it possible for any government agency to achieve their desired outcome of better citizen service. From a citizen’s standpoint, Jane is confident that the proper channels will right the wrong and feels free to go on with her day. Sitting at a campfire, she receives a resolution notification when her request has been resolved. 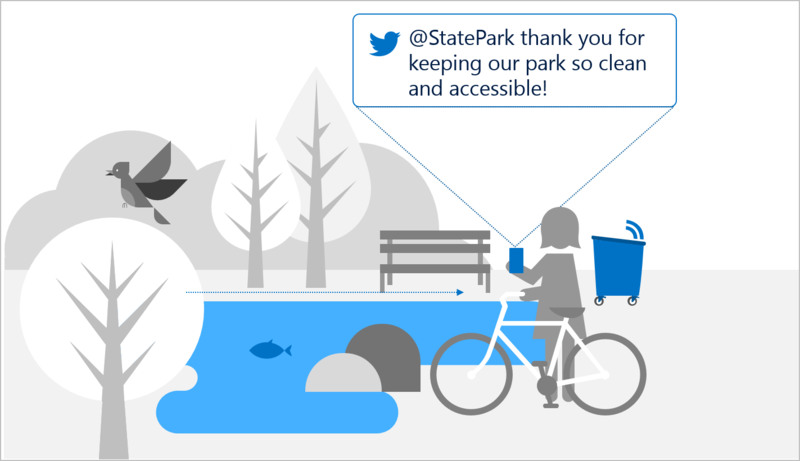 Happy with her service experience, Jane provides feedback and goes a step further by commenting on the state park’s Facebook page about her experience and how swiftly the problem was handled. With the right tools, the State Park’s Department analyzes Jane’s case among others to address the long-term need for garbage receptacle sensors. Installing these sensors helps the state park identify future overflows by detecting when a garbage receptacle is nearing capacity. With the help of advanced planning, scheduling, and budgeting tools, public agencies are equipped to execute projects successfully over their entire lifecycle. Through a deeper understanding of long-term needs, governments save time, money, and resources, avoiding future situations where citizens might be disappointed by messy campsites. More importantly, can you imagine how Jane feels? Through online forums, the state park shares their long-term improvements with their community, and Jane sees the direct contributions she’s made to the state park. With a sense of pride, Jane tweets it out and shares her excitement with her fellow citizens. Let Microsoft help you make Jane’s world a reality. 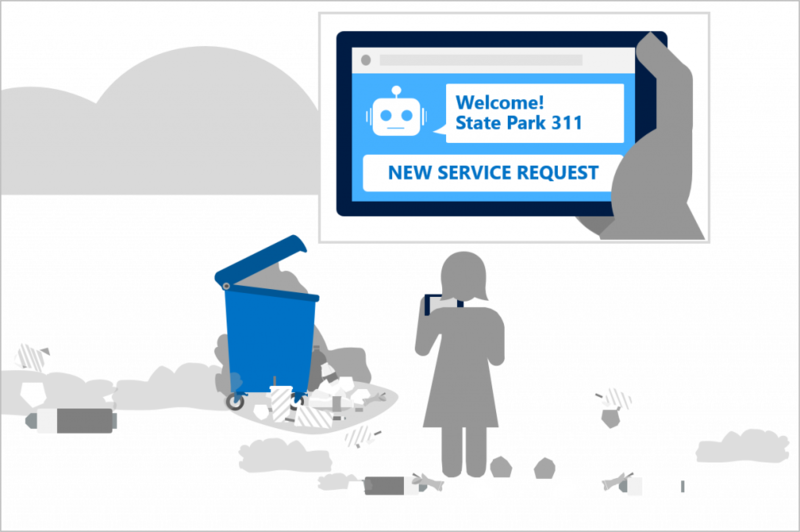 Microsoft Dynamics 365 can help any government agency build citizen trust through responsive customer service, empower employees to do more with less, and transform the way service operations are handled. 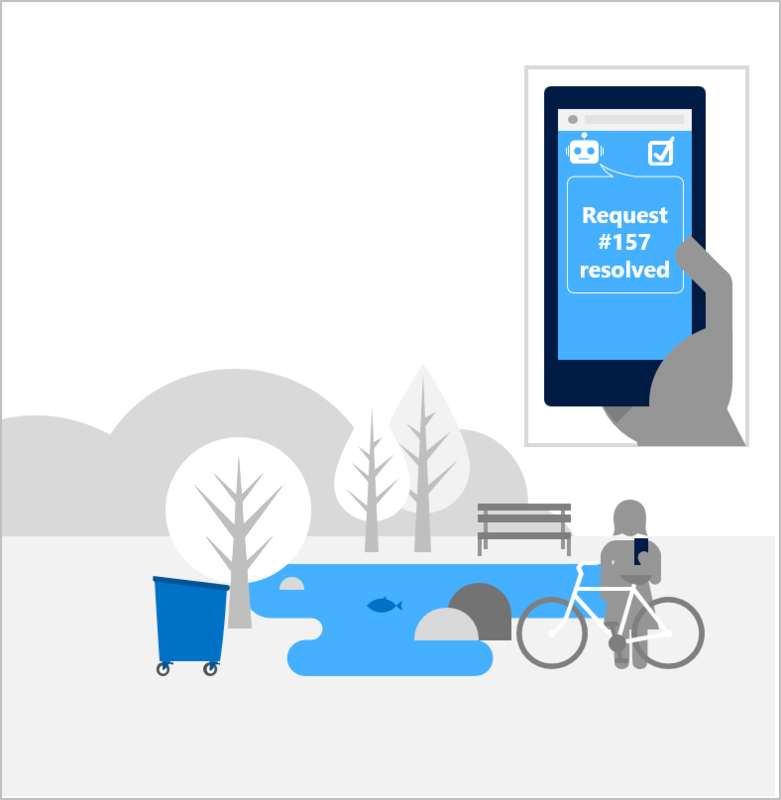 With Dynamics 365, governments are equipped to exceed citizen expectations.